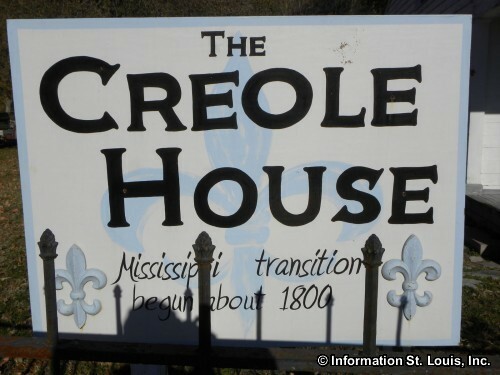 The Creole House is located in Prairie du Rocher Illinois in Randolph County. 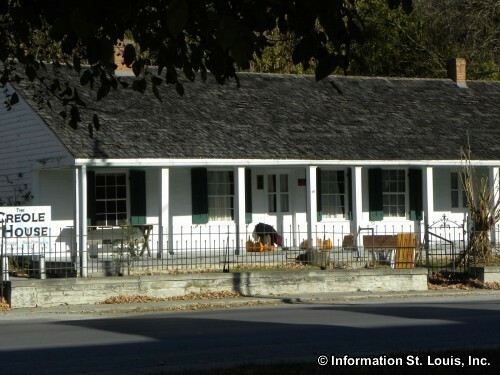 The original portion of the house was one room and was built in 1800 and constructed in the French Creole style of architecture of vertical posts in the ground (poteaux-en-terre). In the following years, the house was enlarged several times using the American style of architecture of studs and the entire structure was covered in siding. 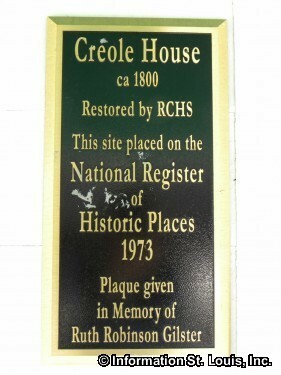 The Creole House had some important residents throughout it's history. One of them, Henry Clay Hansbrough, who was born in 1848 in the home, became the first congressman, and later a senator, of North Dakota. And another resident was Abraham Lee, who was famous for winning the Crosby Opera House in Chicago in a nationwide lottery held in 1867. The house was placed on the National Register of Historic Place in 1973 because of the French and American influences and was donated to the Randolph County Historical Society. 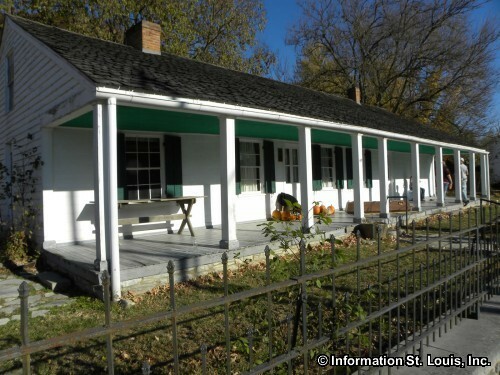 Today it is restored and is furnished with antiques representing the 1800's. The Creole House is open the weekend of the June Rendezvous, held at the Fort de Chartres, and the third Sunday in September free of charge. Otherwise it can be viewed by groups or individuals by appointment for a small admission fee. Children under 12 are free.